Photo: Children enrolled in our program were once involved in hazardous child labor situations, but are now safe, enjoying success in school. 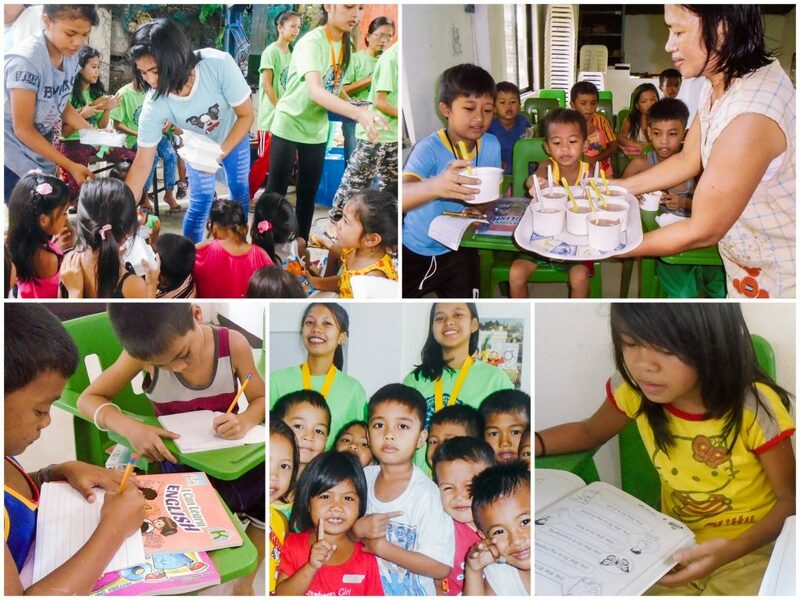 Today we are happy to bring you good news from our child labor response program in Manila, Philippines. Our center is located in the midst of one of Manlia’s slum colonies situated right at the base of one of the city’s largest landfills. We recently started a nutrition program on Saturdays not only for the children enrolled in our Children’s Hope Center, but also for children from the local community. Thus, some weekends there are 80-100 children (ages 4-16) partaking of our meal service program. Our 10 youth and 5 adult volunteers cook and serve the children fried chicken or pork, vegetables, and fresh fruit on Saturdays. During the week we serve the children macaroni soup, bread, or porridge every day before their after-school tutoring sessions so that they will have energy to focus on their studies. This month we officially enrolled the children from our local community who attend our Saturday feeding program, raising our Children’s Hope Center beneficiaries to 90 children. 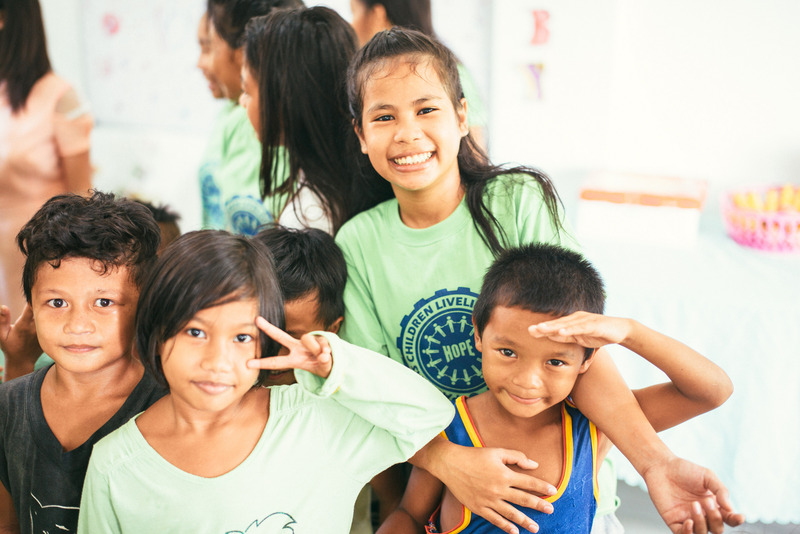 We are thankful for the opportunity to extend our education and nutrition outreach in the slums of Manila to other impoverished children in need. The children are currently on a break from school, and to add to this time of fun and relaxation, our Hope Center staff will organize a festive Halloween party where the children will play games and receive candy. The children have also been enjoying a new community playground nearby, laughing and smiling as they play on the seesaws, slides, and swings. The school year will resume during the second week of November, and our children will continue studying and receiving tutoring in math, English, their native Filipino language, science, social studies, technology, skill development, music, art, and physical education in grades 1-6, and algebra, geometry, calculus, English, the Filipino language, biology, chemistry, physics, social studies, technology, and skill development in junior high. In addition, our Children’s Hope Center staff has added storytelling to the after-school tutoring curriculum. Our 10 youth volunteers read stories to the children, such as the Bible stories of Daniel and the Lion’s Den, Jonah and the Whale, and the life of Jesus, and they also read them various fables and parables from children’s books. Our storytelling program teaches the children to comprehend the sequence of a story, identify the characters, and learn valuable moral lessons that they can apply to real life situations. The program also helps the younger children to draw the story from their imagination and learn to spell words, and it helps the older children learn to construct sentences and paragraphs. In addition, the storytelling program encourages our youth volunteers (ages 14-18) by nurturing their self-esteem, strengthening their communication skills, and teaching them how to build good relationships with others. The children are also making good progress in their reading skills at our Children’s Hope Center. Many of our students in the 3rd-6th grades (ages 8-12) are improving in both reading and writing, and they can read a Bible story written in English on their own and write their insights about what they read. Most of our teenagers have also greatly improved in speaking and communicating in English. To help all of our students improve in reading and writing, our faithful Hope Center staff gives them books to read and writing assignments to better help them interpret and summarize what they read. Thus, most of the children have reached the average speed of reading for their respective age levels — we are very proud of their hard work and diligence. Crisanto is my little brother. I chose to tell his story because ever since we were kids, we have been a part of the Hope Center feeding program which helps Payatas Colony children like us. We joined the program in 2008, attending Bible studies, enjoying recreational activities, and benefiting from the nutrition program with the other children. I was only 11 years old at that time. My little brother Crisanto joined the program when he was 6 years old in 2008. Since our family is broken and we weren’t able to be fed by our mother who had no source of income, we were grateful to be invited to benefit from the Hope Center nutrition program. My other two siblings also attended the program since nutrition and fun activities are so helpful to our family. Crisanto is now 15 years old and one of the youth who guides the little ones and helps our director to prepare meals and assist in the children’s tutorials. His life has really been changed by the program because he is now more mature, responsible, in leadership, and has become a values-oriented individual. Our family’s struggle is being in an incomplete family. Our mother has no stable job to sustain our daily needs and school needs. Even though I am the breadwinner as a licensed teacher, the support I’m giving them is still not enough because of the type of economy we have here. Food, daily items, and bills are expensive due to the value of money we have here. Just for example, a licensed teacher like me gets only a monthly salary of $360. Food and basic needs are really hard to get. That is hardest among our neighbors who earn only $50 a month from daily labor or recycling collection. Our daily struggle is sustaining our daily lives since there are 5 five of us in one home with only one breadwinner. We are extremely grateful for your generous support which makes all that we do for these children possible, our greatest hope being to break the cycle of poverty and protect all of the children from child labor.